Sylvie this is lovely.Smashing colours and sweet image. Gorgeous card Sylvie. I love the cute image and the colours and details are beautiful. Such a cute card.Lovely image. 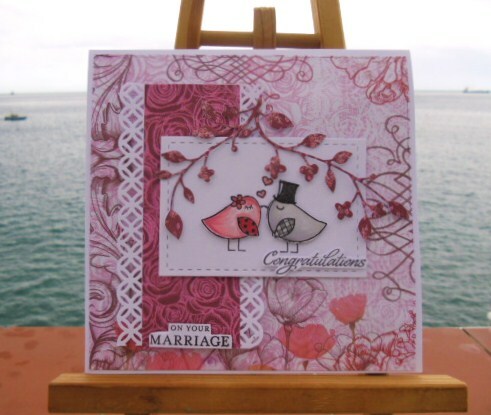 Such a cute wedding card - have a great weekend Sylvie! Enjoy your weekend Sylvie :). Beautiful card, love those little birdies!